The French certainly had beautiful things down to an art – and their Versailles Globe is no exception. 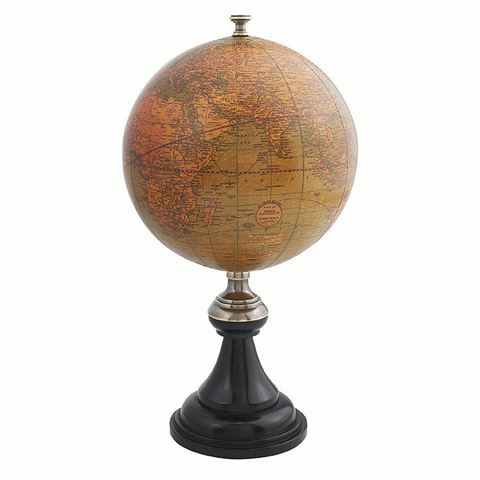 Standing on a rosewood base with bronzed metal appointments, this historically accurate globe has been aged to resemble an antique, and makes a wonderful décor piece for your desk or bookshelf. Rosewood base with bronzed metal work. Made with a historically accurate map. Dimensions: 26cm (h) x 14cm (w).